While there are many techniques to maintain a healthy lifestyle, where some methods focus on physical exercises, some on diet, some on daily habits and rarely are some on the mind. It is no secret that Yoga is perhaps, the master of all, the best way to maintain a healthy lifestyle. Yoga is a powerful technique/philosophy to have a unanimous harmony of mind, body, and spirit. For example, one cannot just work out healthy but have stress in the mind, that couldn’t be termed as a healthy lifestyle. Thus, it encompasses various concepts in the form of ‘Ashtanga Yoga’ (eight limbs of yoga), where it provides a holistic technique to not just cleanse our particular lifestyle but our overall existence. ‘Ashtanga Yoga’ is explained in the second chapter, ‘Sadhana Pada’ of the highly powerful and most influential philosophy of Yoga, ‘Patanjali Yoga Sutras’. Among the eight limbs, Asana is one of the vital limbs mentioned for the path of yoga. You must have heard this many times, “Yoga is not just a physical posture, an exercise or a breathing technique”. Yet, all you see your friends who do yoga are likely doing that very same thing, postures, and breathing techniques that looks much like an exercise in the end. Those postures are called Asanas. Yoga asana is an integral part of yoga, which is a physical medium of practice for not just the body but also our mind. Asana is the physical practice of yoga, which is also commonly known as the yoga postures. Yet, asana is not just a simple exercise. It is a physical medium through which we can keep both our body as well as our mind calm and balanced. There is a beautiful quote on asana by Patanjali, “Sthira sukham asanam“, which means, “That which is steady and which is comfortable is asana”. In a deeper scenario, Asana extends our comfort level by shifting even our uncomfortable zones into a comfortable one. Life is full of possibilities, where anything can happen, and smaller your comfort zone, there is more that you are uncomfortable with. Thus, life being vast, yet one being comfortable only in a limited sphere makes them more prone to misery. The university exists in duality. Thus, there are always ups and downs in life. Asana is that which enables us to maintain the equanimity. Asana is a practice to find comfort and stability in any kind of posture. In a way, it is the medium to train the mind to be stable and balanced through the physical medium of body postures. The regular practice of yoga asana has deeper gifts to present to us beyond its undeniable health and fitness benefits and its current fashionability. Practicing asana is also a spiritual practice in and of itself. While most are captured at first by the lure of healing, flexibility, and strength from yoga, we can achieve much more with the regular practice of yoga asanas. 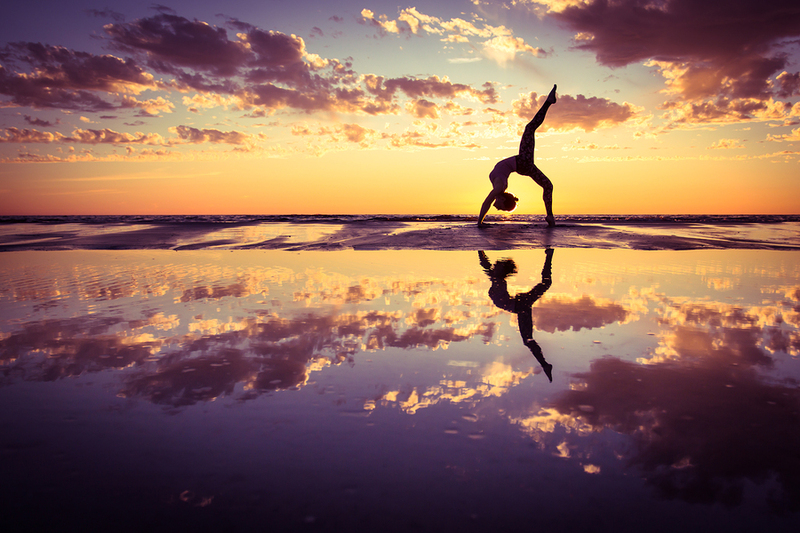 Everyone who practices yoga has always found a connection with the transcendental. No wonder, because there are many beautiful purpose and effects of practicing yoga asanas. Different body postures indicate our different feelings or state of your mind, which is known as ‘body language’. A person with strong mentality has a good, strong body posture, whereas, a person with a weak mentality usually has a weak posture. Body postures are a true evidence of our state of being within. Since the mentality of a person can define the posture they have, so can the body postures change have changes in the mentality of the person. Thus, daily exercise and yoga asanas help a lot to relieve our mind from stress and revive them. These postures in the form of Yoga Asanas serve as tools to help us mold our mind, body, and personality. If we observe properly, our breath and our state of mind are related. A calm person has a calm breath, an angry person has a short breath and a depressed person has a weak breath. Likewise, having an unstable state of mind most of the time, we eventually breathe in an unnatural rhythm. Thus, whatever we feel natural is not actually natural. Patanjali, mentions that we obstruct the flow of breath and then slowly bring them back to the natural flow by practicing asanas and certain methods of Pranayam. We are all determined to have our life in our own terms. Thus, seeking that perfection and control brings a lot of trouble. However, there is only up to a limit till which we can have a control. Thus, the practicing postures remind us to let go of that control. While we do yoga asanas, we initially put an effort and then let go, which gives the amazing experience to witness the rest of everything happening. Yoga reminds us that, sometimes it is best to let go and relax. We drop the false notion that we are in control. Also known as Pratyahara, it is one of the eight limbs of yoga. It means being aware and fully interiorizing one’s senses. The nature of our senses is to flow outwards. For instance, everything we see, hear, touch, taste, and smell is something happening outside of us. As a result, even our energy that goes into the senses goes outwards. Thus, the conscious process of turning our attention and thoughts inwards by withdrawing our energy from the senses happens when we practice asanas. Dharana means stillness of thought in the mind. In a simpler term it can be said as having an introspective focus, concentration or one-pointedness thought of mind. Usually, our mind is bombarded with various thoughts, emotions, and ideas. It usually swings like a pendulum in the past and the future. Dharana is when our mind is focused in the present moment. This step is imperative for the next limb, ‘Meditation’, as without Dharana, meditation is not possible. When we become still during asana, we begin to separate our self from our thoughts. By entering a state in which we experience thoughts as a surface phenomenon after we move more deeply into relaxation. Then, we realize that thoughts are like the clouds passing in the sky which doesn’t have much meaning. Then, we get in touch with our consciousness that is the background of thoughts, and the thoughts begin to lose their power over you. As a result, like the dusty layers over the mirror, thoughts, like the specks of dust get removed we can see our true infinite self. Meditation, which is also known as Dhyana is the art of doing nothing. The state of meditation is beautiful and amazing where we are both in deep rest and awareness at the same time. More so, the rest in meditation is said to be deeper than the deepest sleep. A calm mind, good concentration, clarity of perception, improvement in communication, inner strength, and relaxation are all natural results of meditating regularly. In today’s world where stress catches on faster than the eye can see or the mind can perceive, meditation is no more a luxury. It is a necessity. However, one having a restless body, an unhealthy body or a body in pain cannot sit for a peaceful meditation. Asana is like the daily servicing of the body, practicing which keeps the body flexible, fit and healthy. The ultimate practice of asana as well as pranayama is to prepare our body for a quality meditation. Samadhi is the state of oneness, where there is no distinction, between the actor of meditation, the act of meditation and the subject of meditation. Samadhi is that spiritual state when one is so absorbed in whatever it is contemplating on, that the mind dissolves the sense of its own identity into the higher identity. There is only oneness in samadhi, which happens through sustained practice of yoga. Practicing asana is a vital to reach that higher state of bliss. Asanas are training the body for the comfort zone that it really deserves, that it has come to this planet with. As mentioned above, Yoga asanas need stability and balance which can happen only when we feel comfortable. With the help of our body postures, practicing yoga asanas pushes our body and even our mentality to achieve stability and success in the uncomfortable areas. Thus, daily practice of yoga asanas brings out the best of us. Being happy and content isn’t an act but is an attitude. Thus, it is not so easy to influence a yogi who has a mind that is steady as a stone. Practicing yoga gives us the state of mind to be comfortable, steady and calm in any situation. As a result, yogis are more happy and content in life. While some asanas are easy, most are quite challenging to perform. And mastering any asana takes a lot of regular practice of meditation, stretching, and strength. Thus, yoga helps the body to become flexible and strong from inside to the outside. Regularly practicing various asanas stretches the body and tones each and every muscle, thus making them strong. It also helps to improve body posture while you are standing, walking, or sitting. Hence, it is a good way of getting away from all of those unwanted body pain or aches. 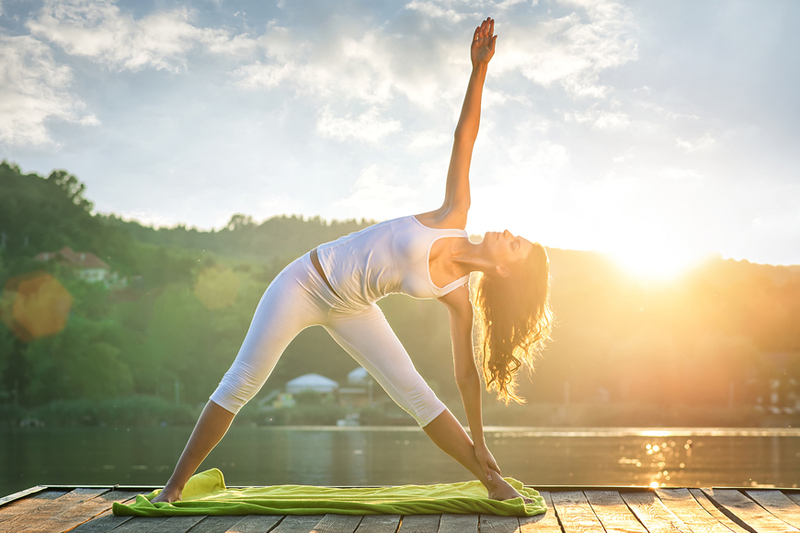 Yoga asana is called as an “all-rounder”, wherein it helps in breathing techniques, postures, and meditation. Hence, it is regarded as a package of holistic fitness. The regular practice of asana would help improve one’s health through body detoxification, promoting physical strength, boosting and improving mental strength, and protects the body through quick healing in cases of infection or injury. Discipline is one of the pillars of yoga and even in life. We can hardly achieve success in any field without it. Likewise, it takes a lot of discipline to become a yogi and especially daily practice of yoga asana. We do not need discipline when we enjoy doing something, rather it is needed when we do something that we do not enjoy doing. Yoga may seem very attractive in the beginning phases but it takes much effort and discipline to see it through the end. Perhaps, this could be one of the main reasons why many try Yoga but very few become yogis. Thus, ones who do asana daily naturally develop an attitude of discipline in their personality. Only when the body is healthy and the mind one-pointed and inward does a person have a chance to discover the inner dimensions of life. For which, meditation is the key to this spiritual practice. Meditation being the goal, asana is the basic means of enhancing the capacity of the body and mind so that a person could sit in meditation for long periods with as few distractions as possible. After a regular practice of yoga asana, you learn to maintain this ease, everything you say and do becomes an asana. Following, your body, mind, and soul are always in a higher meditative state. Yoga asana is a gift for the humankind that holds the power to unconditional happiness, peace of mind and even divinity.